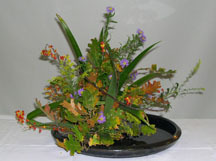 Please give us your impressions and comments about Ikebana and our organization. If you live in the USA,which state? If you live outside of USA,which country and city ? Would you like to become a new NAOTA member?